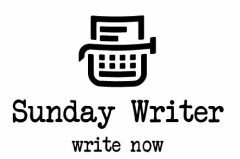 Now that wish can come true: on Sunday 4th February Sundaywriter is taking over the Nest coffee shop in Crosspool. Come and spend a day writing in a coffee shop where there’s the same background buzz you get from writing in public, but everyone else is a writer too. No annoying people, and drinks and snacks on tap. The workshop is called Draft Zero. Why Draft Zero? Because it will be all about the tricks we sometimes have to play on our subconscious in order to get the words down on paper. The best writing advice I ever received was “Don’t think about it as ‘writing’, think about it as ‘doing a bit of typing'”. We will be doing a LOT of “bits of typing” over the course of the day, so bring your laptop, but we will be doing other writing exercises too – bring your favourite pen. Draft Zero is the draft you write before you want anyone else to see what you’ve written, the one where you’re just trying out your typing fingers, wondering whether any human being can actually write 80,000 words. The draft that will turn out to be a random collection of scenes that you will need to rearrange and fix up – but later, when you write Draft One. We will be doing writing exercises regularly throughout the day, with free writing and coffee drinking time in between. You can arrive and leave when you like, and of course the writing exercises aren’t like school exercises – you can join in if they sound helpful, or carry on with your own writing if that seems to you like a better use of your time. Tickets are £45 all inclusive and can be bought from eventbrite or you can email sundaywriter@pobox.com to arrange paypal or other payment methods. Bookmark or follow this page for details of other workshops later in the year – look out for Draft One, in March! The day will consist of writing exercises (bring your laptop and your favourite pen!) interspersed with free writing time in a small friendly coffee shop (otherwise closed to the public for the day). There will be coffee and snacks on tap and included in the price. Tickets are available here, or contact me on sundaywriter@pobox.com for further details.